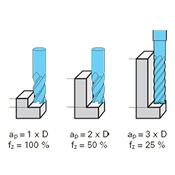 All the cutting rate recommendations specified are standard values valid exclusively for new tools or tools re-ground to Guhring specifications. 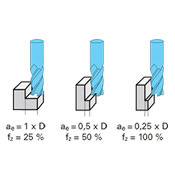 Pre-requisi tes are stable machines, optimal cooling, optimal tool clamping and maximum concentricity of the tool and the machine spindle. 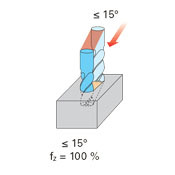 Our recommended cutting rates must be reduced if the conditions deviate. 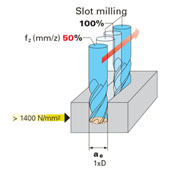 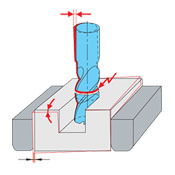 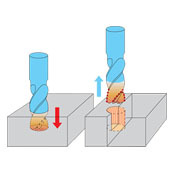 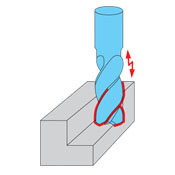 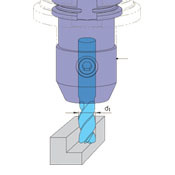 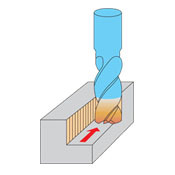 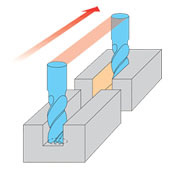 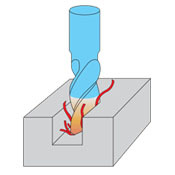 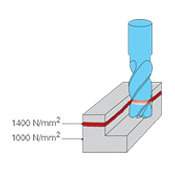 The values may also be adjusted to influence surface quality, machining rate or tool life.